Are you kidding Mr. Market? How in the world can you cheer the well-crafted, word dump put out by struggling retailer Dollar Tree (DLTR) on Wednesday? The press release — nor the current management team who helped put the press release and weak numbers on it together — deserves zero praise. None. It’s really that cut and dry. 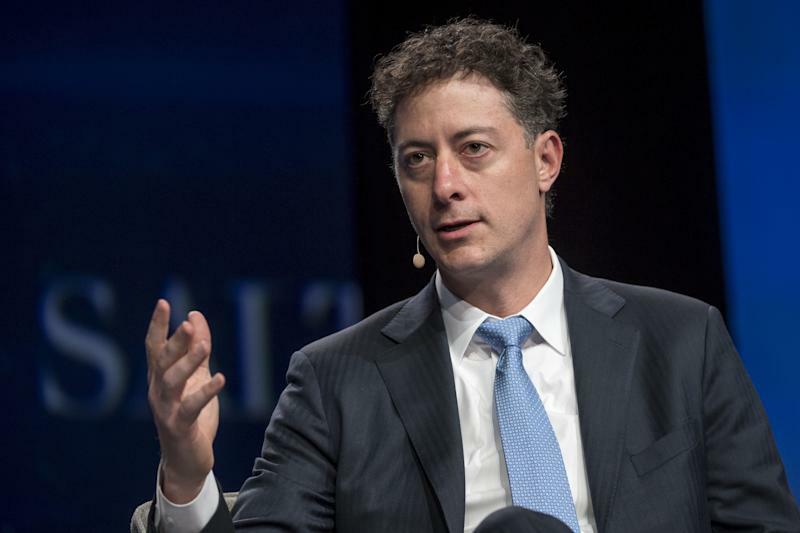 Hat tip to activist investor Jeff Smith at Starboard — you picked an ideal target to wrestle for change. Dollar Tree shares rallied 5% Wednesday as the company blew a kiss to new nemesis Smith that it’s working hard to jump start stalled sales and profits. The centerpiece of the plan is a deeper integration of the bumbling Family Dollar brand (and its 8,200-plus stores) into Dollar Tree. A test of multi-price points at Dollar Tree, which Smith suggested back in a letter to CEO Gary Philbin in January. Dollar Tree’s model has long been rooted in selling items for $1.00. But that is a tough model to maintain — and profit from — nowadays with minimum wage and transportation inflation as well as tariffs on Chinese goods (where Dollar Tree gets the bulk of its general merchandise). A test of Dollar Tree branded departments inside of Family Dollar stores. Doing this, or so the assumption would be, should improve price perception among Family Dollar shoppers. 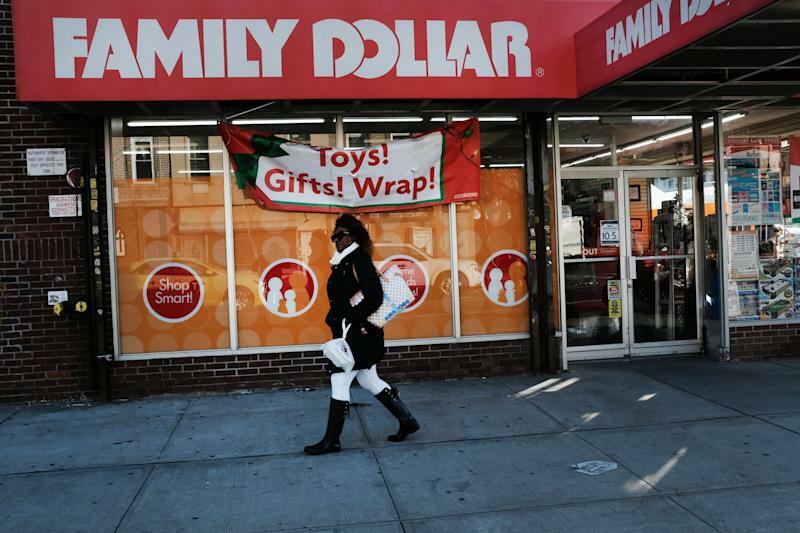 To many low-income shoppers, Family Dollar is still seen as being too expensive. Changing 200 Family Dollar store banners to the better-performing Dollar Tree banner this year. Remodeling 1,000 Family Dollar locations this year. Rolling out adult beverages to 1,000 Family Dollar stores and adding freezers to 400 stores. These are key merchandise categories for the low-income shopper. In another attempted kiss to Smith, Dollar Tree added retired TPG consumer/retail veteran Carrie Wheeler to the board. Wheeler currently sits on the board of apparel brand J.Crew (which has its own operational issues right now). Philbin is obviously upbeat on all of this stuff working and appeasing investors, as soon as possible. Lost in Philbin’s uber bullish earnings call and company press release, is the basic admission of value-ruining miscues at Dollar Tree. These bad missteps should shift the power to Starboard’s Smith (and other upset shareholders who have been around longer than Smith) in his efforts to shakeup Dollar Tree’s board. Taken together, they paint a picture of a management team that is long overdue for new names and a board in need of fresh faces with fresh ideas. Family Dollar will look to close up to 390 stores this year. Dollar Tree didn’t spend $9 billion to buy Family Dollar to get in there and close stores... and rebrand others. A massive $2.7 billion impairment charge related to Family Dollar assets (due to the brand’s ongoing underperformance versus expectations at the time of the deal closing). Family Dollar gross profit margins was down 400 basis points year-over-year in the most recent quarter. Store traffic was under pressure, too. Dollar Tree gross profit margins was down 90 basis points year-over-year in the quarter. Changing the name on 200 stores from Family Dollar to Dollar Tree is akin to saying Dollar Tree badly misunderstood the value of Family Dollar at the time of the acquisition (which it did). Testing Dollar Tree shops inside of Family Dollar is weird — it effectively says to low-income shoppers Family Dollar doesn’t have the best price. Cannibalization anyone? Full-year earnings guidance of $4.85 to $5.25 versus the $5.78 consensus. Sprinkle in Dollar Tree’s management not truly sounding confident in testing multi-price points in its namesake stores and one has to wonder if they understand their current predicament with a well-known Wall Street name like Smith and other key shareholders. “The sheer acknowledgment of a [price] test appears to have provided investors enough to hope that the company may be open to greater change; however, there's simply too little to go on at this time to have any confidence that the test will prove successful,” says Jefferies analyst Christopher Mandeville, echoing the sentiment among others Yahoo Finance talked with. Another head-scratching move at Dollar Tree: somehow getting Wheeler to throw her support to keeping and investing in Family Dollar despite just being appointed to the board. “I am pleased to have the opportunity to join the Dollar Tree board. I have long admired the company’s strong leadership position and growth prospects in the value retail sector,” said Wheeler in a statement Wednesday. “The Dollar Tree business has a unique niche and an extremely loyal customer base, while Family Dollar represents a tremendous opportunity for value creation. I look forward to contributing to the board to help develop and grow the Company." The poor performance of Family Dollar has weighed on the overall results of Dollar Tree, which for years was viewed as a retail darling on Wall Street due to its strong returns on investment and sales trends. In turn, Dollar Tree’s stock has lagged the past two years — the stock is up 32% over this span versus a more than 65% gain for rival Dollar General. Walmart’s stock is up 41%. Since Dollar Tree closed on its Family Dollar acquisition on July 6, 2015, the stock has been up 25% versus the S&P 500’s 35% gain. Meanwhile, Dollar General (DG) and Walmart (WMT) shares are up 50% and 35%, respectively. Through it all, Dollar Tree management has been steadfast in its thinking on Family Dollar in that it could be fixed and drive shareholder value. The latest example coming on Wednesday. That’s no surprise considering Philbin spent time as Family Dollar’s chief operating officer from July 2015 to December 2017. Dollar Tree’s executive chairman, Bob Sasser, also served as Dollar Tree’s CEO from 2004 to September 2017, and ultimately signed off on the Family Dollar transaction. Both of these two retail veterans are architects of the Family Dollar-Dollar Tree combination. Of the 13 members of Dollar Tree’s board (including Wheeler, Philbin and Sasser) nine were around to approve the Family Dollar acquisition. Value destruction plain and simple, which shouldn't be cheered by the market. Rather, heads should roll. Unless the market is being sinister — perhaps it knows Dollar Tree is not getting it done — and unlikely to — under Philbin and the current board. Hence, a press release like the one on Wednesday only emboldens Smith’s investment case and push to turn the board upside down this year. Nevertheless, in a world where value-centric retailers such as Target (TGT), Walmart and TJX Companies (TJX) are doing so many things to operate successfully in the age of digital, Dollar Tree taking a $2.7 billion write-down on a major acquisition isn’t a good look. The ball is now in Smith’s court to apply the next round of pressure — Dollar Tree dropped its ball a while ago.